In the last few days and weeks there has been an overwhelming request made by many of our Catholic lay faithful and clergy throughout the nation for a united action of prayer in support for our Church and Nation. The time is now urgent to call upon God, through the powerful intercession of Our Lady of the Rosary, to heal our country and Church and return it to holiness. Everyone from around the nation is encouraged to join ranks and to respond in a united prayerful way. This is a nationwide prayer campaign called the “Novena for Our Nation.” United, we will pray the very powerful 54 Day Rosary Novena consisting of 27 rosaries of Petition (Just 5 decades each day, with the petition prayer, and Hail Holy Queen prayer, beginning with the Joyful mysteries, and the next day the Sorrowful mysteries, and on 3rd day, the Glorious mysteries and continuing in the same cycle) and then followed by 27 rosaries of thanksgiving, starting from the Feast of the Assumption on August 15 (Wednesday) to the Feast of Our Lady of the Rosary on October 7 (Sunday). 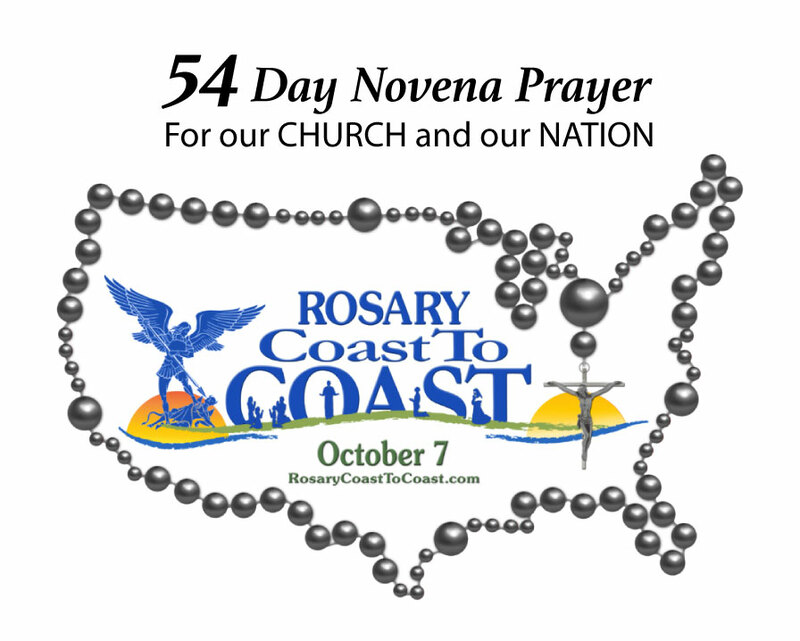 This Novena of Rosaries will conclude on the final day (Sunday October 7, 2018) with a public combined parish Rosary procession linked up with the Coast to Coast Rosary procession at a venue to be announced. Our Parish of St. Anthony of Padua will be reciting the Novena Rosary every day in our Chapel from Wednesday August 15, after the 7am Mass, and thereafter Monday to Friday at same time. In addition, we will have a Holy Hour of Adoration of the Most Blessed Sacrament on Sunday’s during the 54-day Novena from 2.30pm to 3.30pm with the Novena Rosary and Chaplet of Divine Mercy. Copies of the 54-day Rosary Novena prayer leaflet is available in the Church and Chapel or at the Parish Rectory. Call (508) 993-1691 for additional information on the Rosary Coast to Coast Nation Rally. May God bless you and reward you.